Silent Pool speaks up with Bants! What does Bants need? An injection of alcohol! This was neatly (!) supplied by Steve Kavanagh of Silent Pool Distillers who brought in a bottle of his fantastically successful Surrey Hills gin. 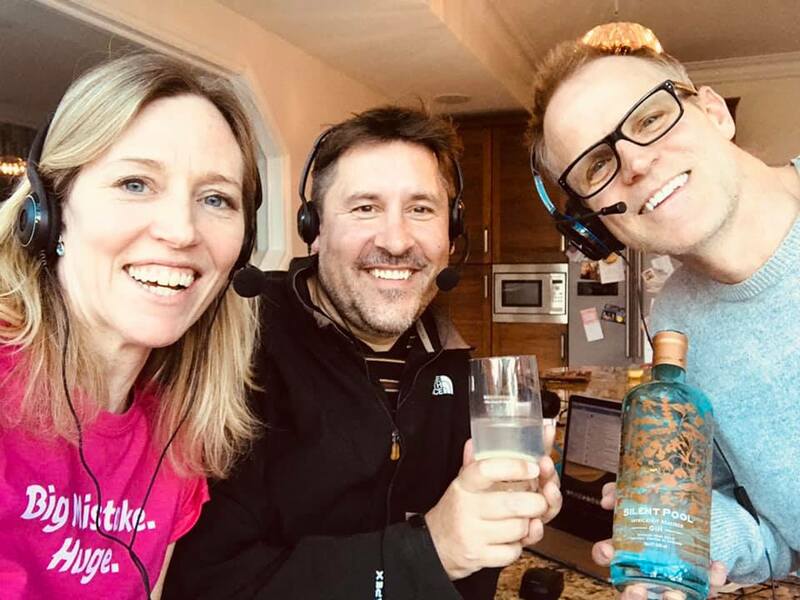 Steve spills the local legend and spices up the gin making process while Sal hands out home-baked G&T biscuits with marmalade icing: orange is the perfect suitor to Silent Pool. Today Bants launches a new film and TV section ‘Last Call’ where Nik & Sal binge and whinge about programmes, some of which will soon be taken off air, then it’s down to you: play or nay? They review Nightcrawler starring Jake Gyllenhaal (BBC2 iPlayer until Monday 12.55pm) and After Life starring Ricky Gervais (Netflix). News, reviews, gossip, style, food, problem-solving and more every Friday 1-3pm.